1. What are your thoughts about marriage, do you believe in it and have you ever wanted to be married? Marriage demonstrates that husband and wife perceive it not only as a physical and emotional union, but also as a great responsibility for each other. It is a great responsibility and important step in our lives. I do want to get married, it is very private and beautiful thing! » Read more..
Hello to all who is reading our blog! St. Valentine’s Day and the holiday of March, 8 (the traditional Ladies’ Day in Slavic countries) are around the corner. What could be better than natural beauty present? One of the most favorite and classical gifts to your gorgeous Russian bride is the bouquet of flowers. One prefers red roses, another adore pink tulips – each to her own. But daffodils are considered to be a real taste of coming spring soon. Nothing says this season like daffodils! These flowers are real sales hit, they are fresh and luxury. According to the floral experts, daffodils are believed to be flowers of a tender friendship, but these plants symbolize coming spring, so that is why ladies adore it. » Read more..
Hello to everyone here! Well, today is January 29th, and the world marks International Puzzle Day today. Quite bizarre, isn’t it? Puzzles have their own day! A cute game which, however, should not be considered as for children only. 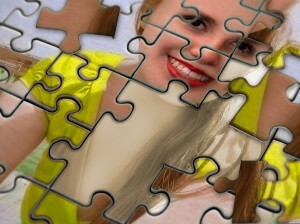 In fact, puzzles are believed to be a favorite pastime of lots of people, for all ages. » Read more..
Hello everyone! Let’s speak about single Ukrainian ladies today. As you may definitely know, Ukrainian ladies are brilliant and amazing. They ALWAYS look fine, they watch themselves. They cook well; they are quite intelligent and well-read ladies. They have an opinion of their own; they can dress fashionably and sophisticated, they have a style to them. In other words, Ukrainian brides are nearly perfect. The question would therefore arise why they are single. So, do you know why? » Read more..
Ukrainian Crimean peninsula is famous by its pleasant climate, welcoming beaches and beautiful sights. Let’s take a look today at one of amazing Crimean showplaces, splendid St. Nicholas of Myra Lighthouse Church. 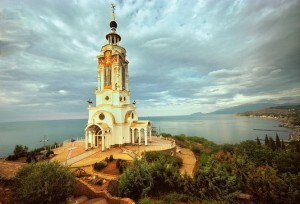 This church is located not far from Alushta. It was build in the name of those who died on the water, in the fame of lost ships and sailors. In Orthodoxy it is considered that St. Nicholas of Myra patronizes travelers and sailors that’s why his name was given to this temple. This beautiful church has also a lighthouse that guides the ships in the sea. » Read more.. There is a place in Ukraine that is known as a birthplace of famous Polish king Jan III Sobieski. 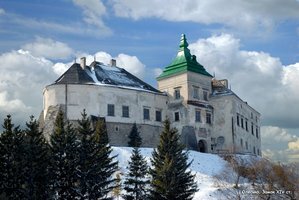 This is the Olesko Castle that is located not far from Ukrainian city Lviv. It was built between 13th and 14th centuries as defensive fortification at the territorial border of Polish-Lithuanian Principality. In those days Olesko Castle was an outpost against the Tatar-Mongols and Turks. They say, many times invaders tried to conquer it but the castle resisted and was restored every time. » Read more..
Communication is the basis of any relationship. It is hard to imagine what you will receive without talking and discussions. Most of all you want to find something new about life of a beautiful Slavic lady when you start your communication. Yet, there are some things which you surely shouldn’t discuss and try to know, as it will only make you feel uncomfortable. » Read more.. When we meet someone special, we often give a way to emotions. 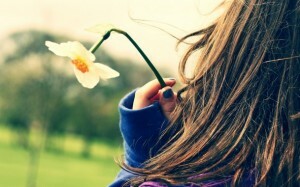 Outer beauty can turn your brain, you loose your head and forget about everything. Ukrainian lady with wonderful long hair, long-legged babe, gorgeous blue-eyed beauty can conquer your heart in no time at all, from the first sight. But how not to loose your mind? How to choose between all of these unique Ukrainian beautiful ladies your only one who will become your best life-partner and devoted wife? How to make a right choice? How not to make a mistake at the phase of your correspondence? » Read more.. Relationship is a complex phenomenon in which both sides should constantly take part. It is also said that love means lots of work and perseverance to be kept alive and fervent. Nevertheless, everyone can make typical mistakes while communicating with a beautiful Slavic lady, which may make her sad or make your relations not as great as they could be. So, forewarned is forearmed, and if you know what you shouldn’t try to do in relationship, you will definitely manage to proceed far in communication with your lady. » Read more..
1. What are your thoughts about marriage, do you believe in it and have you ever wanted to be married? » Read more..